I am a talented and experienced 3D Designer. I will try to put in my best foot and help you in accomplishing your goals to reach your targeted task. Graphic Designing: Cartoon Art Icon Making 2D and 3D Art Work Vector Art Any format to Any Format Conversion Photo Editing Logo Making All kind of art and graphical work..., We provide following services: * Video Making * After Effects Motion Graphic Videos * 2D Animated videos * White Board Animations * Title Animation * Logo animations * Video Explanation * Audio Editing You can ask me a job for: 1. Video Editing of any type. ( Video teasers, Wedding videos,Intro videos, Event videos, corporate videos, and All video ads ) 2. Any and Editing all type of video work. 3. Music / voice over, 4. Adding visual Effects.5. Green Screen / chroma key editing in premiere. 6. Colour correction and grading. 7. Video Conversion from one format to any other. 8. Video rendering at Full High Definition. 9. Cartoon Arts, 10. Adding Sound effects. 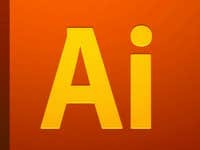 Using Softwares: > Adobe After Effects > Adobe Premiere > Adobe Audition >Adobe Captivate >Adobe Illustrator >Adobe Photoshop >Corel Draw >Sketch up Pro >Aurora 3D Animation >Camtasia I am looking forward to be outsourced by you. I have Experience as document specialist for the past two years.